In our enterprises we foster and reward failures when trying to make something different, taking risks and we discourage mediocre successes. Life and companies success are based on a positive attitude: in Silicon Valley there is an event called “Failed” where people go and share why they spoiled their business; it is a great exercise of humility making us really greater. Please let me share this article by an influent entrepreneur I know and respect, Kamal Hassan. I was honored to participate as a mentor and master of ceremonies at the first Startup Weekend Dubai. I met many entrepreneurs there, all of them with energy, enthusiasm and an idea for starting a business. Most of the ideas were innovative, or could be with a little work. My experience in the technology sector has shown that innovation is a driving factor for many tech-based startups. In other areas that attract SMEs – service industries, handmade goods, small scale manufacturing, etc. 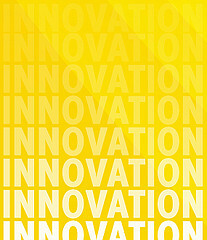 – innovation is usually less common. Why don’t SMEs and entrepreneurs naturally adopt an innovative mindset? For one, innovation is often associated with expensive and large-scale projects (especially in the Middle East). It’s also thought of as R&D (Research and Development), which many small businesses don’t have the resources to undertake. Then there’s also the fact that many entrepreneurs simply want to be their own boss – they latch onto the first idea that intrigues them, or they do what they know or simply enter the family business. Too many entrepreneurs see a successful business and try to copy it (in the Middle East it’s falafel shops – in the tech industry, at least lately, it’s daily deal websites). The new business may change a few small things – the menu, the prices, the décor — but their offering is really no different from the competition. An innovative business provides unique value that customers can’t get elsewhere. It’s not just about differentiating your business with marketing or slogans. It’s about taking a chance on a different type of business than everyone else. Innovative thinkers are open minded, tend to try new approaches and are not afraid to fail. These traits also make you more agile, and better able to respond to changing market conditions. Innovative thinkers are also more creative problem solvers. When everyone in your company is trained to think creatively, it enables you to respond more quickly and efficiently to customer, supplier and internal issues. You probably know at least five people who say they are entrepreneurs or want to start their own business. But there is more to being your own boss than just following your dreams and filling out the paperwork. Remember, it’s not really about you, but about your potential customers. There are many innovation tools that can help you offer unique value or solve a problem for customers. These tools will make your offerings more focused, and your team more focused on a clear goal. Industry lines are blurring as companies seek new ways to offer value. This makes it hard to recognize the competition, and also means there is more competition than ever. Instead of starting out by comparing yourself to your industry peers, spend time uncovering the real needs of the market you are trying to serve. What are their pain points? How do they solve their problems, and how could you help them do it better? This up-front work may take your business in a completely different direction than you were headed (and it also works for existing companies that are struggling). If you’re looking for venture capital or other funding for your startup – or even hoping to sell your small business to a larger company – having an innovative product or service is one of the most important criteria for even getting your foot in the door. Even better is a disruptive innovation that changes the market landscape. Investors are looking for unique offerings and business models that are likely to score big in the near future (based on customer insights and market trends). Of course other factors matter, such as your profitability and management, but if your idea is innovative, an investor will know how to make it profitable and manage the business well. SMEs don’t often have a big marketing or public relations budget (and most startups spend too much on marketing and PR, leaving other functions hurting). However, with the rise of social media websites, your business can get free marketing and publicity. If you have an innovative business model or innovative offerings, your efforts here could pay off big as other people freely share information about your company. It’s called going “viral” and the innovators rule this space. As an SME or startup, you probably have limited resources, especially when it comes to people. Using an approach like open innovation or crowdsourcing, you can tap into the creativity and expertise of people outside your company. These could be customers, suppliers, partners, or even people who have never heard of your company. Their ideas and problem-solving skills can help you innovate your offerings – and you’ll get free publicity, too. Starting and running a business is a lot of hard work (believe me, I know). You have probably invested a lot of time, money, sweat and tears in making your business work. You want it to be successful for a long time. The trick is to always offer something that people want, at a price they can afford and that sustains your business. Innovation can help you reinvent your offerings, or even your business, as customer needs change. By staying innovative, you keep your customers coming back and attract new ones – and you get the satisfaction of running a successful business. Special events like Startup Weekend Dubai have their place in the regional entrepreneurial ecosystem, and I plan to continue supporting events like this. But it’s important that entrepreneurs and small business owners understand that everyday innovation is not only possible, it’s essential for their continued success.